Finding COSHH is just too complex and need someone to take the pain away? Are you getting bogged down with COSHH and taking precious time away from doing your other important jobs. What if you could find exceptional expertise and experience to take on your problems and identify cost effective solutions for your business. Did you know many businesses using hazardous chemicals do not know where to start when undertaking COSHH assessments. Many businesses ask how can you make COSHH safety simple and easy to understand. The benefits to getting it right are that you will have one less thing to worry about; will have a simple plan of action to follow to keep your business safe and will save your valuable resources. Give your business a competitive edge by being one step ahead and help keep your stress levels in check. Your excellent guidance on COSHH and the support provided has enabled us to move forwards with confidence. At MESH we believe you should expect exceptional expertise at a sensible price. You get from us a team of experts that has been there and done it in a wide variety of processes involving chemical risks. Our guarantee to you is to provide exceptional expertise and at MESH we also guarantee you won`t get ripped off as our pricing is fair and we always stick by the price quoted. We provide highly professional COSHH services that guarantee our clients will if following our guidance have control over hazardous substances and provide a safe & healthy workplace. This can be achieved for your workplace; which means you will never have to worry about a visit from the HSE. Our guarantee is that, in the unlikely event of any negative contact from the HSE, we will be available (free) to support you in your response. All we ask is that you have followed and implemented the COSHH recommendations that we make as part of our work for you. Costs of COSHH risk assessments vary depending on the type and size of organisations, the volume and usage of hazardous substances, and the type of COSHH assistance you require. As a guideline, fees for work recently undertaken have ranged from as little as £575 to £4,500 to develop the required level of compliance for individual organisations needs. 2018 prices for a one site survey typically ranged between £1,175 to £3,750 + VAT; 80% of the surveys have been below £2,400 over the last 3 years. Our fees for 2019 are likely to be much the same. Our fees may not be the cheapest, and we would expect you to shop around for quotations, but you can be assured that our consultants are highly qualified and experienced and will ensure your compliance with the COSHH regulations. 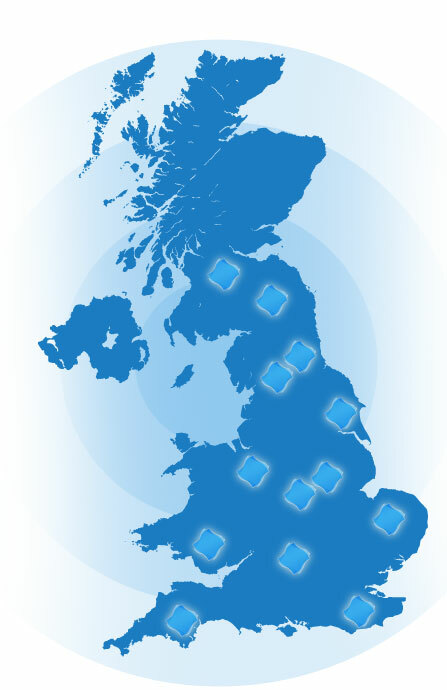 MESH carry out COSHH Risk Assessments for companies in a diverse range of industries throughout the UK.